The Roman Kingdom (Latin: Rēgnum Rōmānum; Classical Latin: [ˈreːŋ.nũː roːˈmaː.nũː]) was the period of the ancient Roman civilization characterized by a monarchical form of government of the city of Rome and its territories. The site of the founding of the Roman Kingdom and eventual Republic and Empire had a ford where the Tiber could be crossed. The Palatine Hill and hills surrounding it presented easily defensible positions in the wide fertile plain surrounding them. All of these features contributed to the success of the city. The traditional account of Roman history, which has come down to us principally through Livy, Plutarch, and Dionysius of Halicarnassus, is that in Rome's first centuries it was ruled by a succession of seven kings. The traditional chronology, as codified by Varro, allots 243 years for their reigns, an average of almost 35 years, which, since the work of Barthold Georg Niebuhr, has been generally discounted by modern scholarship. The Gauls destroyed much of Rome's historical records when they sacked the city after the Battle of the Allia in 390 BC (according to Varro; according to Polybius, the battle occurred in 387/6), and what was left was eventually lost to time or theft. With no contemporary records of the kingdom existing, all accounts of the kings must be carefully questioned. The legendary Romulus was Rome's first king and the city's founder. 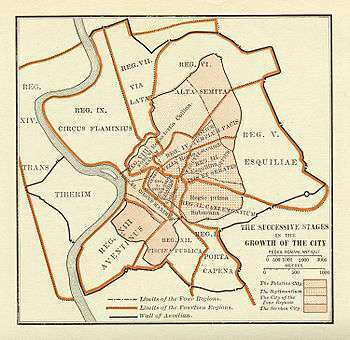 After he and his twin brother Remus had deposed King Amulius of Alba and reinstated the king's brother and their grandfather, Numitor to the throne, they decided to build a city in the area where they had been abandoned as infants. After Remus was killed in a dispute, Romulus began building the city on the Palatine Hill. His work began with fortifications. 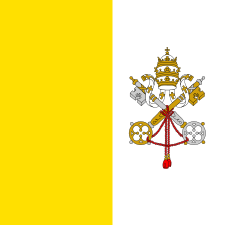 He permitted men of all classes to come to Rome as citizens, including slaves and freemen without distinction. He is credited with establishing the city's religious, legal and political institutions. The kingdom was established by unanimous acclaim with him at the helm when Romulus called the citizenry to a council for the purposes of determining their government. 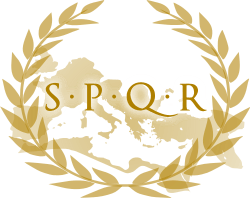 Romulus established the senate as an advisory council with the appointment of 100 of the most noble men in the community. These men he called patres (from pater, father, head), and their descendants became the patricians. To project command, he surrounded himself with attendants, in particular the twelve lictors. He created three divisions of horsemen (equites), called centuries: Ramnes (Romans), Tities (after the Sabine king) and Luceres (Etruscans). He also divided the populace into 30 curiae, named after 30 of the Sabine women who had intervened to end the war between Romulus and Tatius. The curiae formed the voting units in the popular assemblies (Comitia Curiata]]. In addition to the war with the Sabines, Romulus waged war with the Fidenates and Veientes and others. He reigned for 36 years. According to the legend, Romulus vanished at age 54. He was reported to have been taken up to Mt. Olympus in a whirlwind and made a god. After initial acceptance by the public, rumors and suspicions of foul play by the patricians began to grow. In particular, some thought that members of the nobility had murdered him, dismembered his body, and buried the pieces on their land. These were set aside after an esteemed nobleman testified that Romulus had come to him in a vision and told him that he was the god Quirinus. He became, not only one of the three major gods of Rome, but the very likeness of the city itself. Tullus Hostilius was warlike like Romulus, and completely unlike Numa in his lack of respect for the gods. Tullus waged war against Alba Longa, Fidenae and Veii and the Sabines. 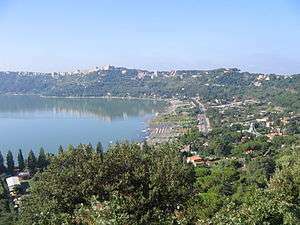 During Tullus's reign, the city of Alba Longa was completely destroyed and Tullus integrated its population into Rome. Following the mysterious death of Tullus, the Romans elected a peaceful and religious king in his place, Numa’s grandson, Ancus Marcius. Much like his grandfather, Ancus did little to expand the borders of Rome and only fought war to defend the territory. He also built Rome's first prison on the Capitoline Hill. The City of the Four Regions, roughly corresponding to the city limits during the later kingdom. The division is traditionally, though probably incorrectly, attributed to Servius Tullius.